How do you let yourself love without revealing your deepest secrets? Rebecca Colfax was out of options. Which is how she wound up working at the Scarlet Garter in Oaktree, Kansas, as a singer and hurdy-gurdy girl, trying to scrape together enough money to get her son back. At the saloon, she reveals nothing of herself, not even her real name. She doesn't want anyone to know her secrets – especially not Slater Forrester, a faro dealer and ex-spy who's clearly haunted by something in his past. 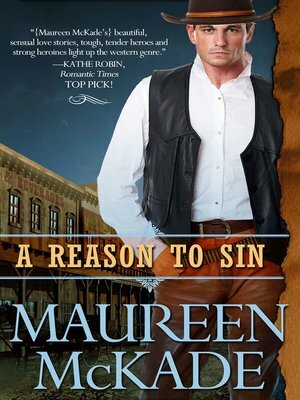 But when violence bursts through the saloon's doors, she discovers a dangerously appealing side to Slater, a side she finds hard to resist. But how will the man she's falling in love for react when he uncovers the secrets she's keeping?